To put it simply; Hip-Hop in 2018 has been whack. As G.O.O.D. Music continues to steal the spotlight with Kanye's less is more, seven-track ideology, ambitious records intent on moving the genre forward have been AWOL. Daytona, ye, Kids See Ghosts, NASIR, all content with trimming the artistic determination in favor of momentary punches to the gut. Excluding G.O.O.D. Music from consideration and one will find only a handful of accomplished projects, unsurprisingly coming from newcomers still concentrated on deciding their future (Saba's Care For Me, JPEGMAFIA's Veteran). That's what makes Busdriver's 10th LP Electricity Is On Our Side shocking. The 23-track, 82-minute epic surfaces from an aging legend, a status we're told doesn't engage in colossal undertakings. As Hip-Hop continues to represent Busdriver's bread and butter - with renewed vigor thanks to the now-defunct Hellfyre Club, Perfect Hair, and Thumbs - elements of Jazz, Sound Collage, and Wonky find their way into Electricity's bustling soundscape rife with abstract imagery and abstruse production. 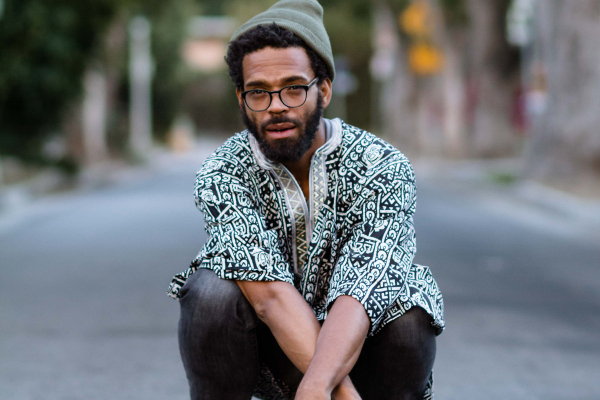 Neither of these stereotypes are new to Busdriver. His highly-literate philosophical (mostly nonsensical) ramblings have defined his career, influenced a new generation, and overwhelm's much of Electricity's circumscribed banter. The difference lies in the bottomless production, which strays from Busdriver's left field, diacritic beatsmithing into territory that borrows more from Jazz's improvisational aura. The opening title track - perhaps the most difficult on Electricity - embellishes that idea with scatterbrained snapshots of radio chitchat, delinquent horns, and harping poetics. It's tracks like these, also seen on 'Losing You Again' and 'exploding slowly,' that dignify the honed endeavors like early standout 'I'm From A Different Time.' 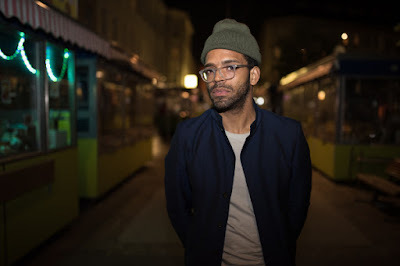 Produced by Busdriver, as most of this album is, the freakish banger incorporates an off-balance drum kit, cartoony synths, and ticking percussion for the rapper to flex his outstandingly-nimble flows over. Occasional outbursts of crafty agility becomes just once facet to eagerly anticipate throughout Electricity, as tracks like the structurally-turbulent 'improvisers anthem' and the imaginatively-funky 'Right Before The Miracle' demonstrate effortlessly. The question remains: Is Electricity more or less impressive given Busdriver's seasoned career? Practice and experience predict development's for a virtuoso, but we know that's rarely the case in the arts. Given the stature of Electricity, especially notable in the seven-track era, it's clear Busdriver's tenth was his make or break. An epic that cements his mythos, or a blunder that blemishes his discography. Considering the number of regrettable tracks can be counted on one hand (the indecent 'Fukn' and autotune-deluged 'exploding slowly' sitting atop the egregious echelon), it's safe to say the former's true. Electricity Is On Our Side unveils a reinvigorated artist, one who embraces the musing's of radicalization, lends listeners an inquisitive laundry list of metaphysical declarations, and prompts replayability through meticulous sketching's both sonically and lyrically. In terms of Abstract Hip-Hop, it's tough to wish for more than Busdriver's penultimate experiment.